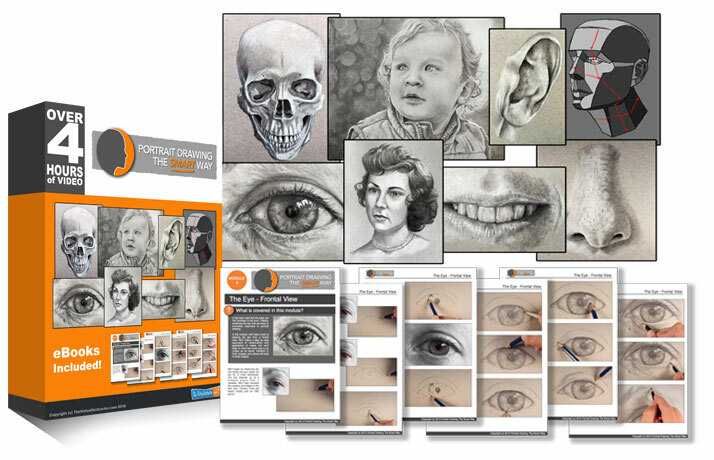 Description: A look at drawing the planes of the face and the head. Suggested Materials: "HB" graphite pencil, white charcoal pencil, toned gray drawing paper, blending stump, kneaded eraser. I have a very faded photo of my mother taken 1933. I hope to be able to add shading to it to bring her back to life. I tried to print a copy of the full front portrait to practice but it came out all distorted ! You said at one stage there was the picture to copy off on the screen .How do I get this ? Maggie . Check your printer settings and make sure that they are set to “fit within the page” or something similar. This is such a useful video. I know there are some instructors who tell you to draw one of those ‘Asaro heads’ from multiple different angles to ‘learn’ the planes of the face, which always struck me as kind of silly, given that no head I’ll ever want to draw will look exactly like the Asaro. (Also pretty boring, frankly.) Your approach, based on specific observation, and accepting that two people drawing the same head may define the planes differently, is, in my opinion, way way more useful. Quite the ‘light bulb moment’ for me, this one. Thanks again. No reference for this one. It is drawn from imagination.